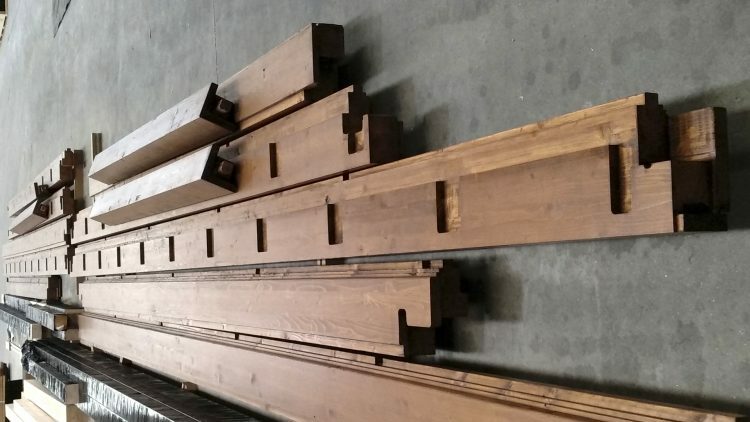 All the pieces of the house has been produced, now is time to move them to the property. In this first round we are just going to be moving the pieces that will create the outer part of it leaving the others for the second round. 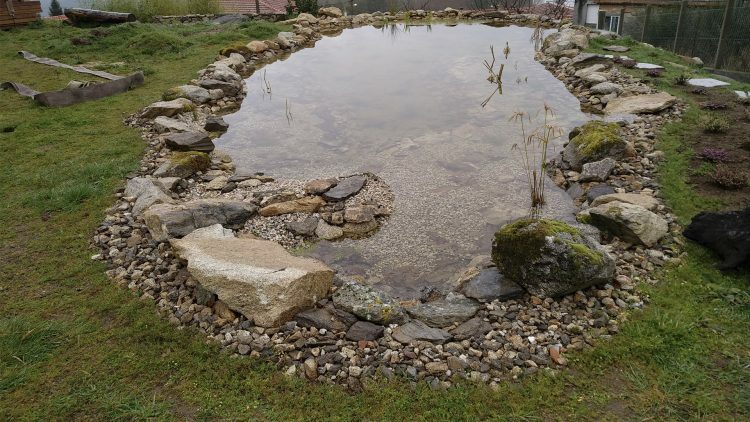 Manuel, a nature lover, is going to explain us what things to keep in mind when creating a pond on our property. He is also going to walk us through all the different steps he took to create one of his own. 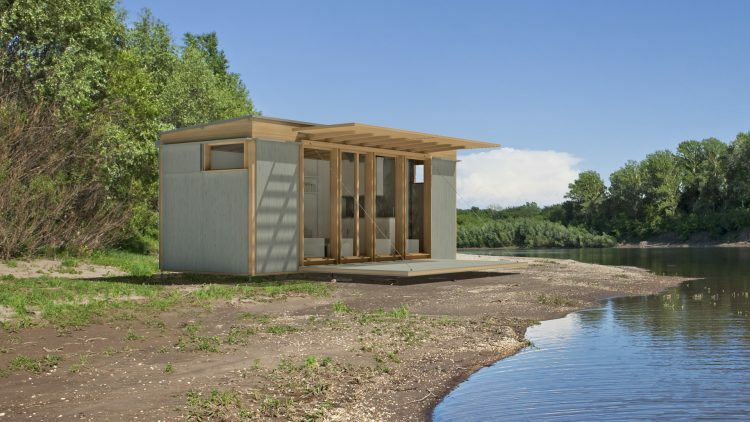 The structure that supports the house in air is a basic element. It makes possible that the house is elevated over the ground in order to have clean views from inside towards the beautiful valley orienting the east. We will show how the production and ensembling is. All the structure of the house has already been produced. 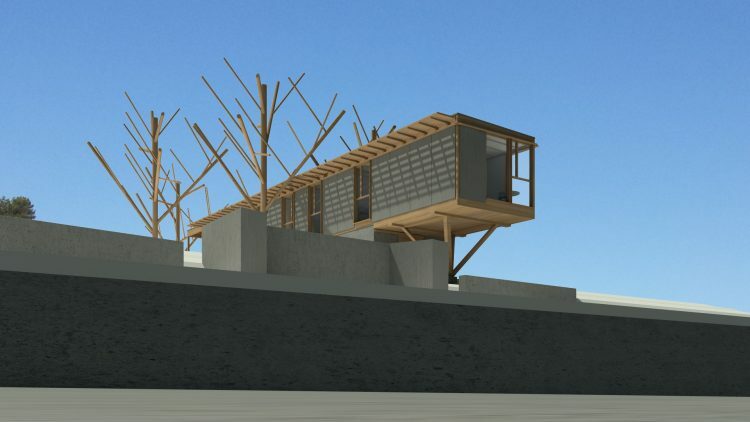 We have got the skeleton of the house and the next we will produce the remaining components of the building. 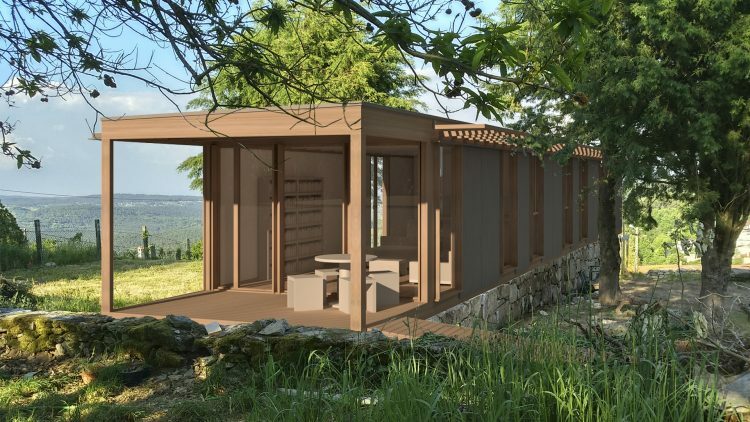 The elements forming walls, floor and ceiling must be placed with perfect exactitude between beams and pillars and of course they must fit in with one another with a millimetric precision. 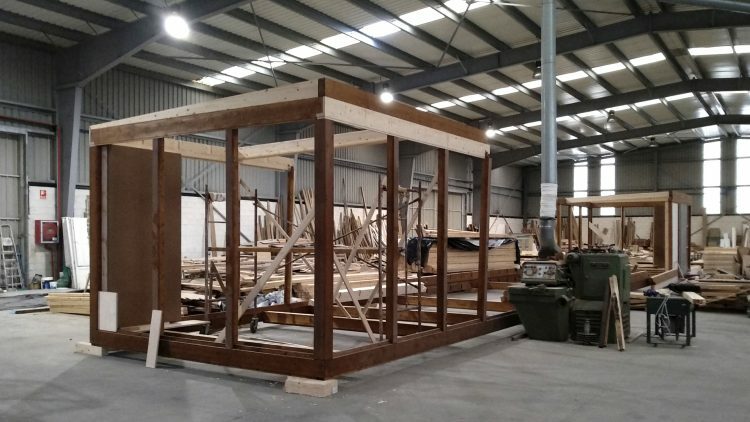 While the works continues on the land, the production of the components of the house has started in the factory. 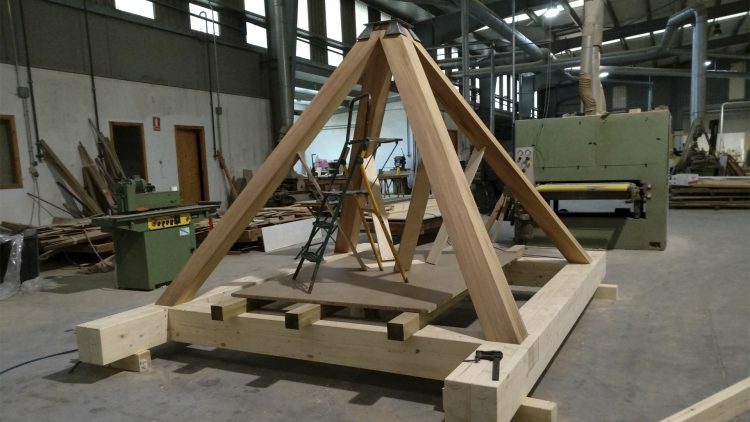 First the structure, it is the frame-work and over it the rest fo the construction elements are fitted in. 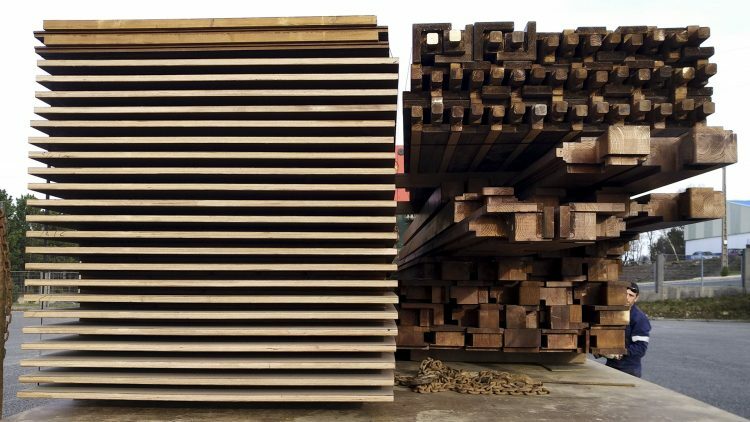 To produce beams and colums is necessary to use wood machining center, because the precision of each element is measured in milimeters, in order to fit it perfectly. The work in the land has begun. As we atold in the part 3, we use the chestnut tree and the stone wall of the upper part as reference for placing the surface and the height of the house. In this part we will see how the stone walls are built to assemble the house over them later. The views from the land towards the east are spectacular, including a large valley covered mainly by Woods and some groups of dispersed houses on the horizon. There are also some elements that can spoil this interesting description and prevent from enjoyning the views clearly. We have to see how to avoid it. All the lands have elements that make them unique. Those elements must be taken advantage of and must be enhanced. The are factors that can reduce the charm of the environment and those factors must be minimised. Now we will describe some of the positive aspects that O Soutiño has got and how they will be enhanced. building a ubuild construction. This is the first publicatiion of a series that takes places during the next weeks. 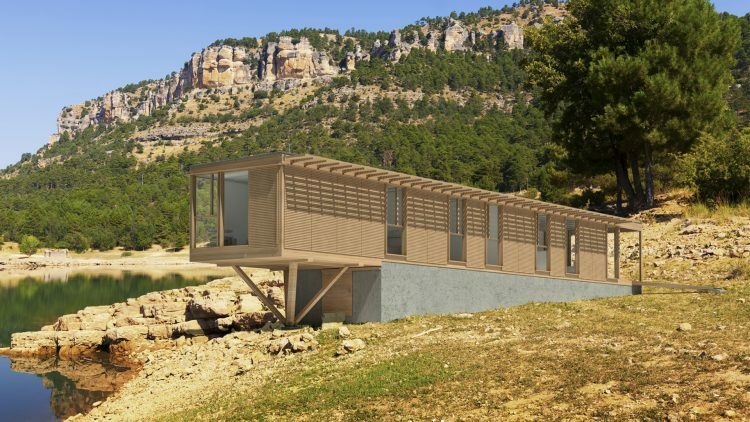 We will demostrate all the process of the production and ensemblind of a ubuild house.